With the new AT-04 archtop pickup, we've separated the piezo sensing unit from the bridge itself so that the piezo element is no longer embedded within the bridge's upper saddle. The piezo sensor is attached directly to the underside of the saddle and is fully enclosed and shielded to guard against the possibility of line noise. By moving the pickup's sensor from within the saddle to underneath it, we have accomplished some pretty good things. For example: the bridge is physically stronger since it doesn't have to be slotted to allow a sensor to fit inside. Vibration transmission within the saddle itself is improved and sound transmission to the sensor was also improved. This pickup has been designed to operate properly and sound terrific without the use of a preamp when plugged into any 'normal' amp (guitar amp, bass amp, etc.). If you require the added ability to be able to plug directly into a P.A. or mixer then you may wish to add one of our Preamp/DI units to your pickup system. 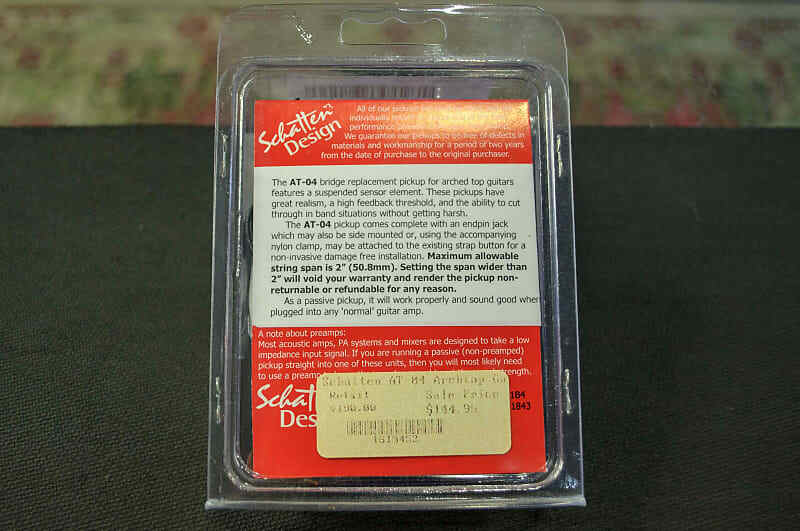 The redesign of the pickup's base has made it possible to fit the new pickup to a much wider range of archtops, specifically including those older instruments that require a lower bridge height. Modifications to the pickup that may be required for fitting a lower bridge height are now more easily and confidently done. 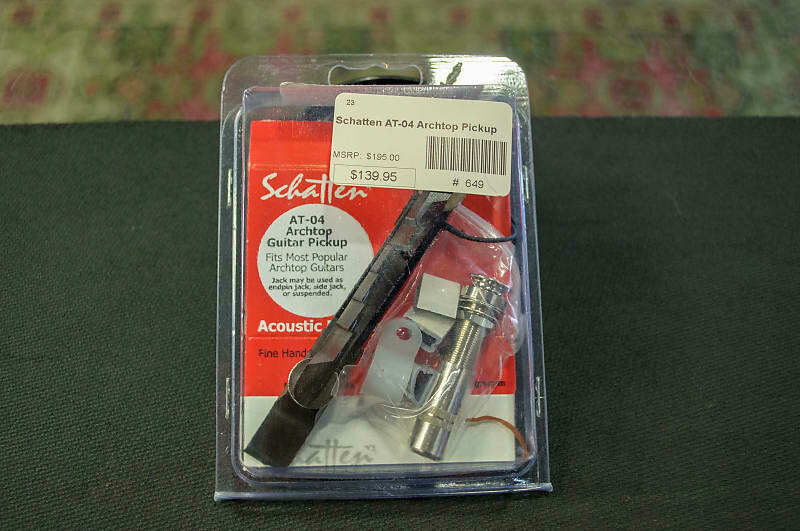 The AT-04 pickup comes with 24" of thin non-microphonic shielded cable and is supplied with a high quality take-apart endpin jack and a small nylon clip (which will allow you to hang the output jack from the strap button, if you wish). Instructions and warranty information included.